Logos Hope’s arrival in Costa Rica brought an opportunity for a group of indigenous people from the Talamanca region to travel 10 hours to Puntarenas to visit the ship, where they received more than they expected. Talamanca is one of the least-reached areas of Costa Rica. Alex and Julie Paniagua (OM Latin America Associate Directors) have been working closely in this community with OM Costa Rica for many years. When one of OM's previous ships, Logos II, visited the country in 2003, there was only one small church in the area with no regular pastor. Since then, OM has enabled a full-time pastor to live in the community, and there are now churches in six different areas and an OM ministry centre. Beyond the outreach that takes place from there, this facility is intended to provide a place to train and mobilise missionaries from Latin America and equip local leaders to better serve their own people. Life in Talamanca is not easy. “The people from Talamanca have no material possessions, they work the land and get little in return for the produce they sell,” explained OM Costa Rica’s Roberto Ramirez. “They have little education and very little contact with the outside world. No cellphones, television or cars, but they are happy to hear about God.” They do have the New Testament in their language, Cabécar, and the Old Testament is now being translated by an American missionary who grew up in the area. The group shared about their community’s struggles with addictions, domestic violence, witchcraft, unemployment and lack of proper housing. Crewmembers then prayed with them for their community and these issues. As they got to know each other more, the guests were amazed by stories from some of the crew who also come from places of poverty, high unemployment and limited access to education. As they heard how these crewmembers are able to serve on board, they realised that, though they have similar challenges, there is opportunity for them to be involved in sharing the hope of the gospel with the nations. Further involvement with this community continues as nine women from Talamanca attended a sewing workshop on board, and sewing machines will be donated to help provide a means of income. 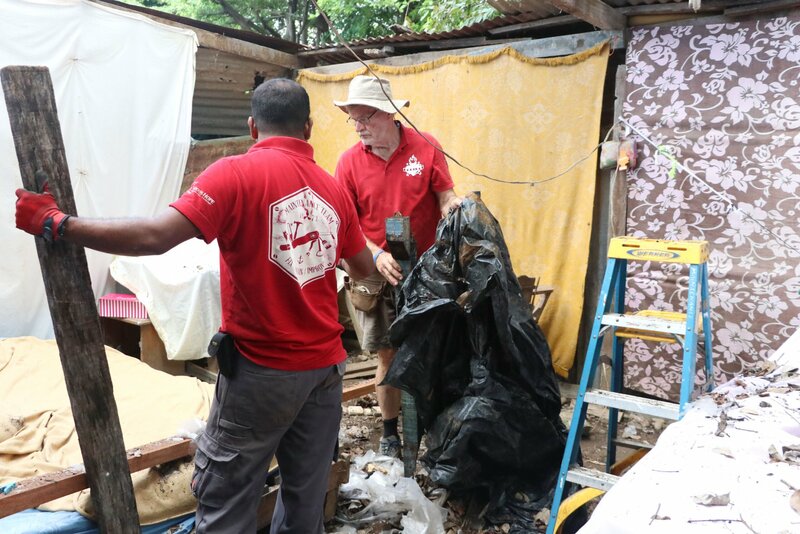 Conversely, three crewmembers have the privilege of personally experiencing life in Talamanca as they spend time there sharing knowledge, help and hope.